Peru’s men’s national soccer team will host Costa Rica on June 5 in Lima, nine days before the start of the Copa América in Brazil, the Peruvian Football Federation (FPF) announced Thursday. 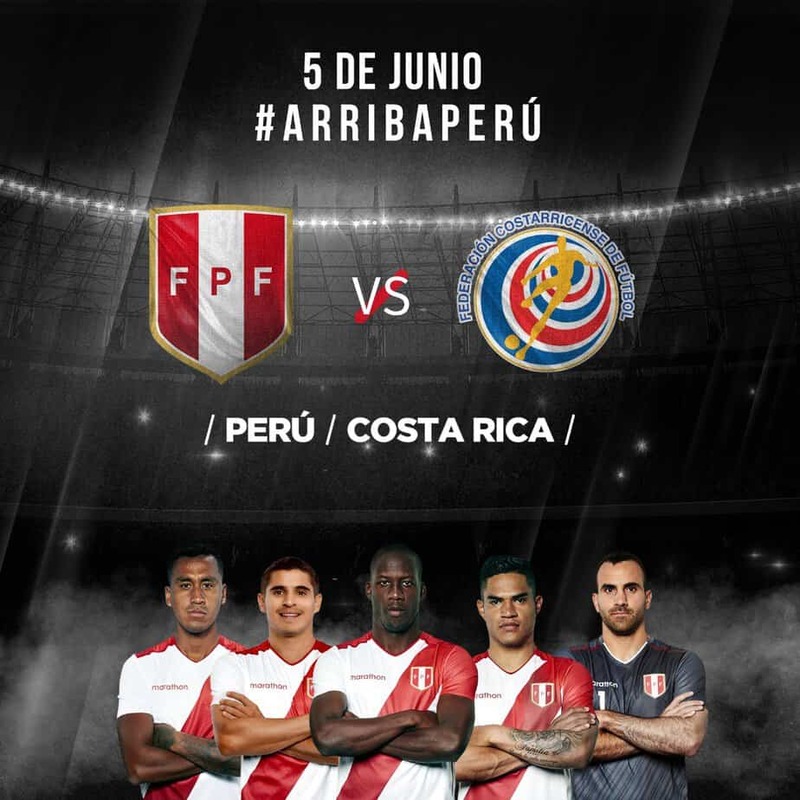 “Peru will receive Costa Rica on June 5 as part of its preparation for Copa América 2019,” FPF announced on Thursday on its Twitter account. The match will be played in Lima at a stadium to be confirmed. The match against the Ticos will Peru’s first friendly match in June. Peru, managed by Ricardo Gareca, will also receive Colombia on the 9th of that month at Estadio Monumental in Lima. The last time La Sele faced Peru was Nov. 20, 2018, in the city of Arequipa. Costa Rica won, 3-2. Costa Rica will begin its 2019 Gold Cup campaign on June 16 at the National Stadium in San José against an opponent yet to be determined. After the 2018 World Cup in Russia, for which Peru qualified after a 36-year absence, the South American team has shown mediocre form; over eight friendlies, they have managed two wins, one draw and five defeats, scoring nine goals to 12 conceded. In their first two matches of the year, played in the United States, Peru beat Paraguay 1-0 on March 22 and fell 2-0 to El Salvador on March 26. Peru is part of Group A of the Copa América, along with host Brazil, Bolivia and Venezuela. The tournament starts on June 14. In 2019, Costa Rica has a 1-0 victory over Jamaica, but La Sele lost to Guatemala in March and to the United States in February.